The Alabama Department of Public Health (ADPH), a division of the state's Center of Health Statistics, is in charge of maintaining, disbursing and amending birth certificates. Changes to a child's birth certificate typically fall under two categories: erroneous or paternity. Erroneous changes typically involve a misspelling in the child's name or a parent's name. This can usually be corrected without a court order. Adding a father's name to a birth record usually requires a court order. Call the ADPH's Birth Amendment Clerk at: 334-206-2637. Inform her of the change you wish to make to your child's birth certificate. Based on this information, she will tell you if you can simply request the change by completing the designated form or if you have to go to court and receive a court order. If a court order is needed, the Birth Amendment Clerk will give you instructions on how to proceed and which court you need to contact. Make sure you obtain the legal order, if required, before you submit the amendment to the ADPH. Download and complete the "Request Form to Change an Alabama Birth or Death Certificate" from the ADPH's website (see the Resource link below). Enter the name as indicated on the birth record. Make sure to include both the mother's and father's name, if the father is also indicated on the record. Include the child's birth date, county of birth and the hospital in which she was born. Also enter in the specific changes that you are requesting in the corresponding field. Include payment of $20. Include another $6 for every additional copy of the amended birth certificate you want (these fees are current as of June 2010). Payment can be made via check or money order payable to the "State Board of Health." After your request is processed, you should receive a certified birth certificate marked "Amended." Obtain the necessary court order. If you're adding a father's name because paternity was determined, you will need an Affidavit of Paternity processed by the County Department of Human Resources or the Center of Health Statistics (if the mother has never married). If you're adding the father's name to the record because you married him after the birth of your child, you will require a Legitimation Through Marriage order which is processed through the Center for Health Statistics. If you are unsure of what court order is required to add the father's name, contact the Paternity Clerk at: 334-206-2637. 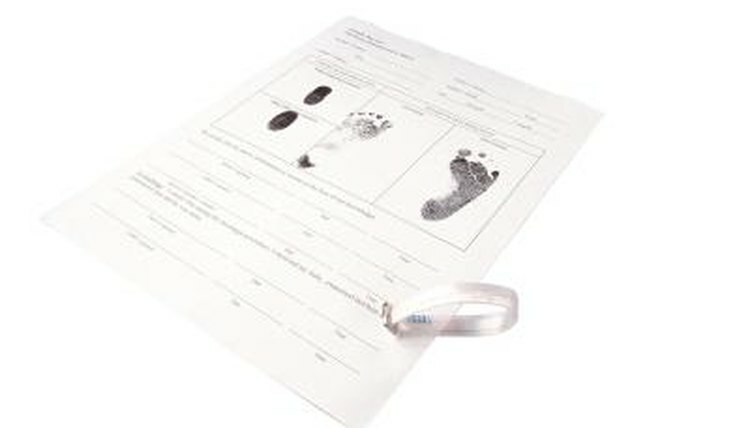 Download a "Request to Add Father's Name to Child's Alabama Birth Certificate" or the "Legitimation Form" (if adding the father's name to the record because you have legitimized your union or married him after the child is born) from the ADPH's website (see the links in the Resource section below). Enter the name of the child, birth date and county of birth. You must also include information about the person applying for these changes, including her name, relationship to the child, address and phone number. Specify why the father needs to be added to the birth record. You must also indicate whether or not you want the child's last name to change. Make sure you provide your signature on the form. Kingston, Si. "How to Amend a Child's Birth Certificate in Alabama." , https://legalbeagle.com/6572312-amend-childs-birth-certificate-alabama.html. Accessed 22 April 2019.